Travessa Carlos de Sá, 21, Catete, Rio de Janeiro. The concept of The Backpacker Cat Hostel Rio is to bring people together, in order to share cultures and experiences. Focused on the traveler's lifestyle, we offer a modern and cozy atmosphere, added to a pleasant social experience to be lived during your stay with us. 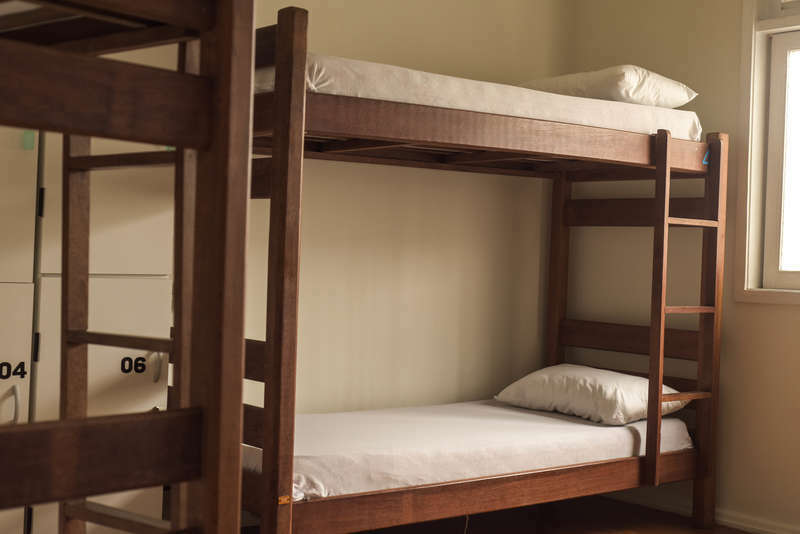 Our enterprise has a good infrastructure, specially prepared to offer the best to our guests: shared dormitories, lockers available for each guest inside the room, locker room and individual restrooms, and also a Pub/Bar to enjoy your stay with us. 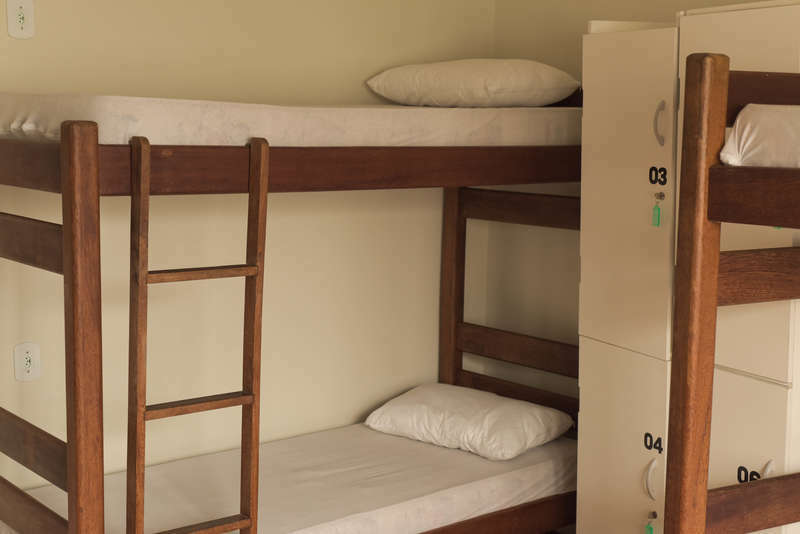 Our dormitories are ideal for group of travelers and also for independent solo travelers, offering you the opportunity to meet people from all over the world, listening interesting and funny stories, and exchange nice travels tips. 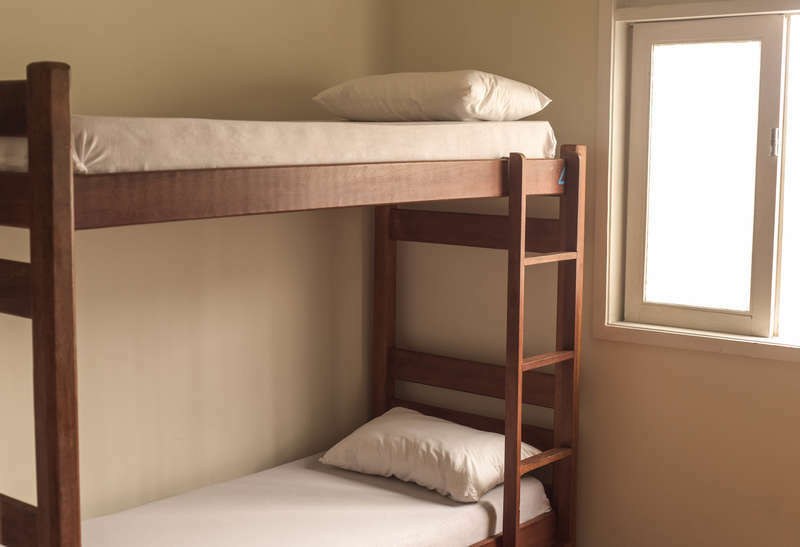 We are located at Catete, in a quiet street,and close to the metro station, so you can access the hostel easily from the airport, and move to many locations as city center, South Zone and Lapa. There are many facilities around the hostel, our neighborhood is very friendly, and we are close to bars, restaurants and stores. Our location is near the Catete Street, and to reach our address you first need to pass throught Catete Street, turn left infront of the Catete Church, enter in Andrade Pertence street, go to the end of this street, and turn right to get the Travessa Carlos de Sa. Public Transports: Metro, Bus and Taxis. We are 15 minutes from Santos Dumont airport, and 30 km from Galeão Airport - GIG . The best option of transport to the hostel is the Metro, as we are located at 400 meters far from the metro station. Our policies of cancellation are that the guest can't cancel the reservation 3 days before the date of check-in. If the guest wants to cancel, needs to pay the value of the first night of the reservation.